In January 2015, personnel from the National Center for Atmospheric Research (NCAR) in Boulder, Colorado installed precipitation measurement sensors at two locations in Juneau, Alaska: one along Thane Road south of Juneau and another on top of Mt. Roberts at an existing weather station site. Both of these sites are part of the Alaska Department of Transportation and Public Facilities (DOT&PF) Road Weather Information System (RWIS). These two sites are separated by a straight two-dimensional, Euclidean distance of just more than 1 mile, but the altitude increases from the Thane Road location to the Mt. Roberts location by more than 500 meters (actually, by more than 1,732 feet). 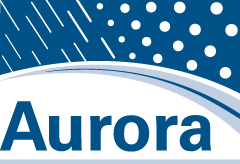 The research team conducted a study using data collected from the Juneau, Alaska sites and the NCAR Marshall Field test site south of Boulder, Colorado to evaluate Vaisala present weather detector (PWD) parameter settings. The objectives of this project were to (1) assess the PWD12 performance for measuring LWE under various scenarios, (2) provide analysis on the observed differences reflecting on how they might impact avalanch hazard assessment, and (3) develop sensor recommendations. The results indicated that, overall, the Vaisala PWD sensors underestimated snowfall precipitation rates compared to Hotplate results. Additionally, the snowfall rate underestimate was more significant at higher snowfall rates. Based on the data analyses, this study provided the Alaska DOT&PF with a corrected estimated rate, which could be used by other organizations, for snow events in Juneau to correct for the bias from the PWD sensors and new weather parameter settings, which were implemented.